@otwcoverage Andy Morgan with a limit. @otwcoverage Anthony Gagliardi with a limit and culling for ounces. @otwcoverage Ryan Davidson is still stuck on one fish; in the meantime Cody Meyer is trying hard to keep his streak alive, he has three. @otwcoverage Client Davis trying to make a last minute push, he has four. 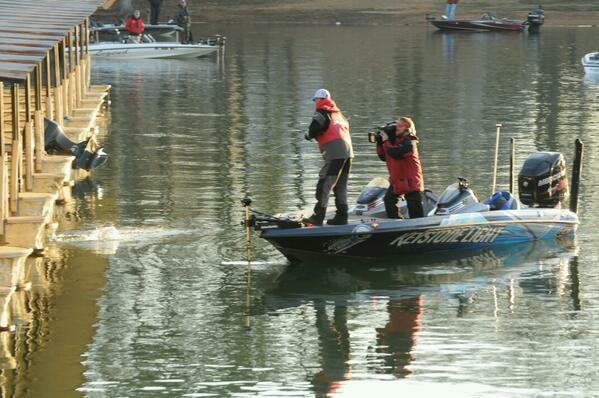 @otwcoverage Things are heating up...Cody Meyer with two bass. @otwcoverage Brett Hite with a limit. @otwcoverage John Cox with a pretty decent limit for today. 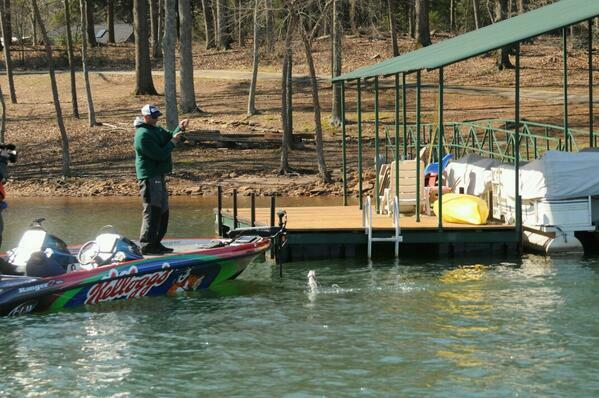 Looks like things may be heating up on the water, will it be enough? @otwcoverage Cody Meyer is on the board! He caught a very nice keeper. @otwcoverage Brett Hite with three in the box. @otwcoverage Dan Morehead is putting together a nice bag, he has three and just needs to finish it off. @otwcoverage Morgan now using spinning rod. Says he is waiting for water to warm up before hunting largeheads. @otwcoverage It's been such a slow day on the water so far (except for Ashley) I think I might have to start testing equipment. Man overboard! @otwcoverage Andy Morgan just added number three to the box. All small. @otwcoverage Cody Meyer is still sitting on a donut. Could this be the end of his consecutive limits caught streak? Sure hope not. @otwcoverage Andy Morgan with two small KY bass. @otwcoverage Davis is giving his Evinrude a workout today - still with one keeper. @otwcoverage We just pulled up on Anthony Gagliardi as he was netting his second fish. He is dragging a jig in about 20-25 feet of water. 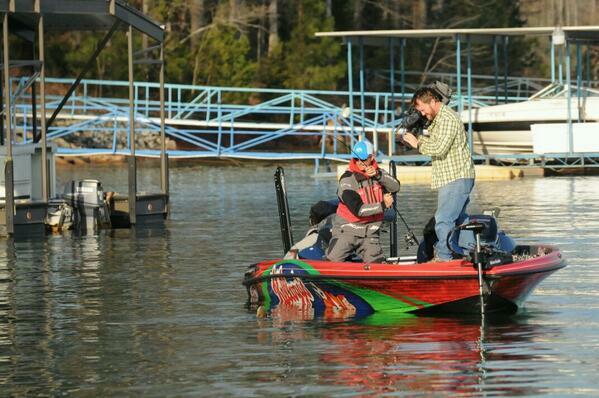 @otwcoverage The boat switch has not affected Casey though, he's still catching fish. To about 10 pounds now. @otwcoverage Clarification on Casey Ashley having to switch boats. His livewell pump is whining like a banshee. He switched boats to hear himself think! @otwcoverage Anthony Gagliardi with one in the livewell. 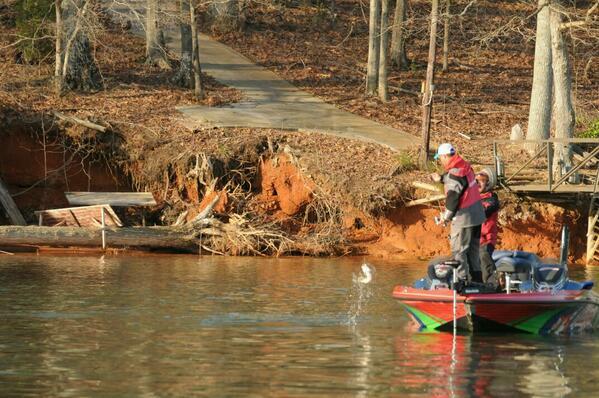 @otwcoverage Casey Ashley putting on a show...just boated 3 in a row to finish his limit. Now with about 10 pounds. @otwcoverage John Cox is on the board with one keeper. @otwcoverage Brett Hite is on the board with one decent size fish. 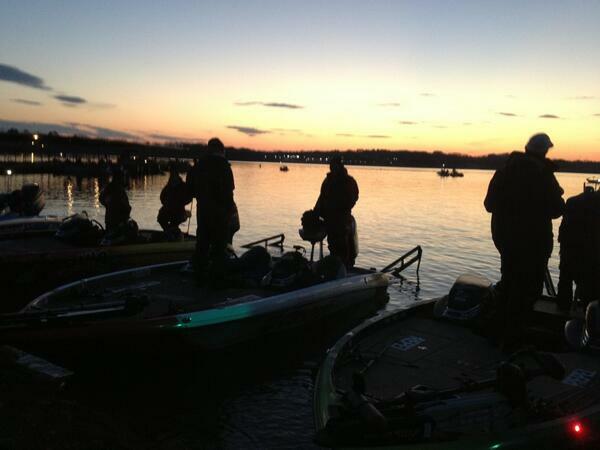 @otwcoverage It's a slow morning so far, I don't think the bass liked the time change. Cody Meyer and Andy Morgan still looking for first keeper. 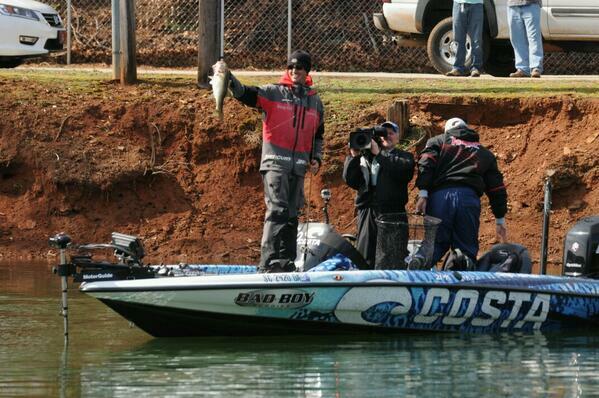 @otwcoverage Ryan Davidson just broke the ice with a decent bass, he'll keep it. @otwcoverage Charlie Ingram ran about 45 minutes to his first spot. Still looking to box his first keeper. @otwcoverage After running a few spots Davis finally connected with a small keeper. @otwcoverage Clent Davis just broke one off - not how you want your first bite to go because he thinks it was a good one. 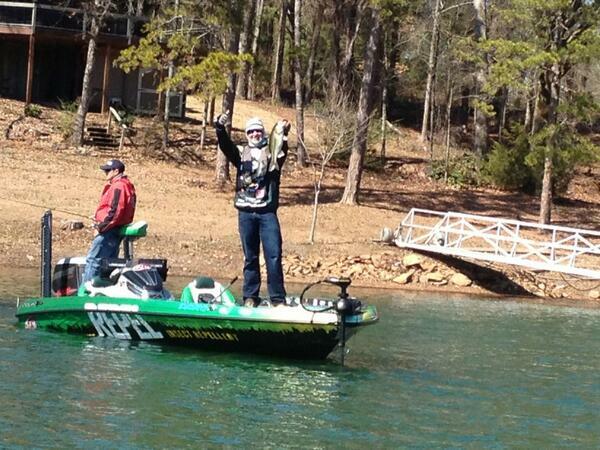 @otwcoverage Followed Ryan Davidson to his 1st spot, he's been fishing this same area all week. We'll see if the place holds up for four days of fishing. @otwcoverage We just pulled up on Anthony Gagliardi as he missed what he said was a big one. He has two so far. @otwcoverage Cody Meyer getting it done, he has four; two decent ones. @otwcoverage Casey Ashley with three on board. 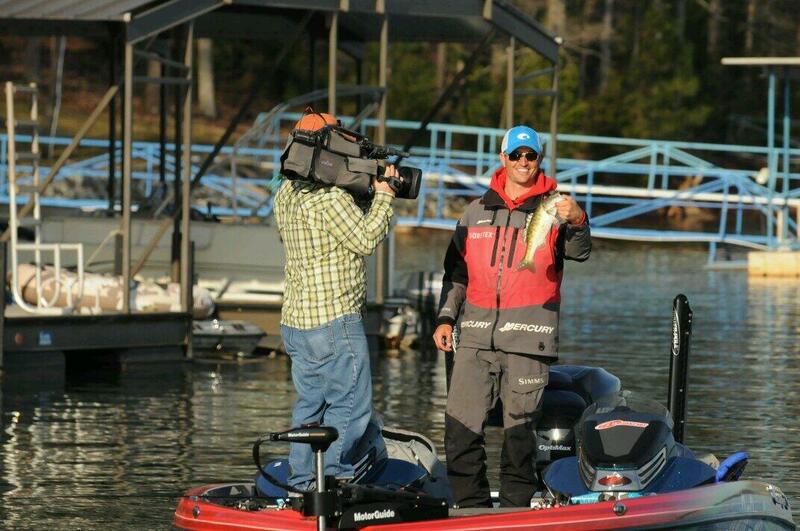 @otwcoverage Cox finally broke the ice with a small keeper. @otwcoverage Ramie Colson Jr., on the board with one. @otwcoverage Michael Neal sitting on a donut and on the move. 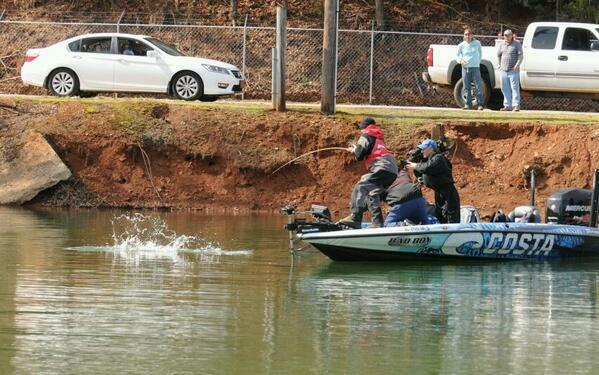 @otwcoverage Casey Ashley off to a strong start, just put first one in the livewell. Off Limits: See Rule #13 plus all area inside the no-wake buoys at Clemson Marina (See off-limits map at www.flwoutdoors.com. 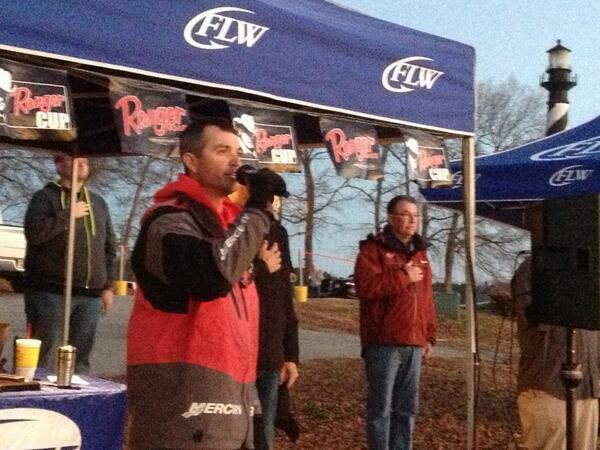 All competition waters are off-limits February 17-March 1, 2014 and March 5, 2014. Fishing License: South Carolina and Georgia licenses reciporcate. To purchase a South Carolina license call 803.734.3833. Service Trailers and Top 10 boats will be located at 625 N Townville Street, Seneca, SC. Service Trailers will be available beginning March 3, 2014.